This past Sunday we focused on the second aspect of our definition of a disciple: “…to learn Christ” (Eph. 4:20, ESV). 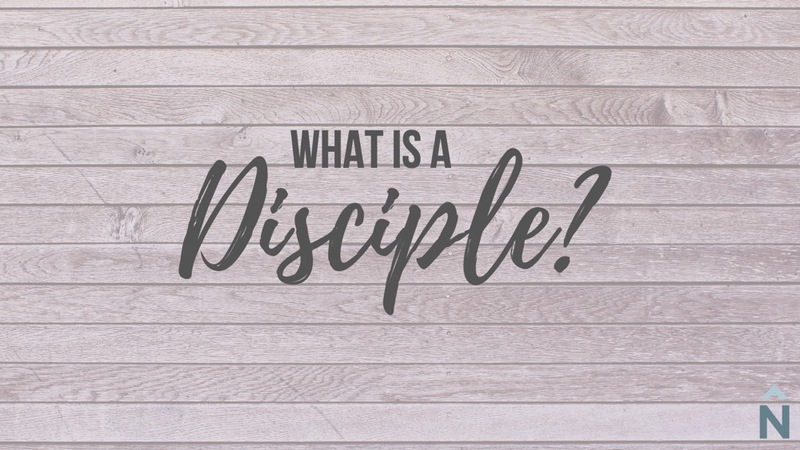 We saw that discipleship is as broad in scope as the person of Christ himself – we need to learn his heart, his priorities, his convictions, his way of relating to others. We need to apply his lordship to “every square inch” of life – work, home, school, recreation, friendship, sacred-secular, public-private. Discipleship defines who we are – it’s not just a role, but an identity. And therefore we parent as a disciple, and host a Super Bowl party as a disciple, and commute to work as a disciple, and watch Netflix as a disciple. Discipleship is the process of becoming the person Jesus would be if he were us (Dallas Willard). So, the principal of “learning Christ” is as broad as every aspect of life. Secondly, the practice of discipleship involves “putting off” our old identity under sin and “putting on” our new identity in Christ (Eph 4:22-24). Paul uses the imagery of changing clothes to say that we need to act in accordance with our new “uniform” – we don’t “play the game” of life according to the old team rules, values, and beliefs. We have a new identity created in union with Christ. So we live out of that identity by putting off old ways and putting on new ways (Eph 4:25-5:2). And the power to do this is by “the renewal of the spirit of your mind” (Eph 4:23). The spirit of our mind is our imagination – it includes thinking, but it’s more than thinking. It’s the faculty of desiring, longing, seeking, esteeming, relishing. And the way we “put off” and “put on” is by applying the gospel of Jesus to our imagination. So for example, Paul stirs the church to sacrificial love by reminding them how “Christ loved us and gave himself up for us, a fragrant offering and sacrifice to God” (Eph 5:2). He uses vivid imagery of a burnt offering, with all the incumbent sights and smells, to depict the life that brings joy to the Father’s senses. Hence we work the Gospel on our imaginations in the areas we are called to serve him. Do you tend to view discipleship as something else to do (i.e. one role alongside many) or the core identity by which you do everything? How might this broader view of discipleship change the way you approach: your home, friends, work, play? What is something in your life that you know God is calling you to “put off” – because it’s inconsistent with who you are – and what should you “put on” in its place? So for example, you might need to “put off” using your smartphone in the company of people and “put on” engaging in conversation. Try “renewing the spirit of your mind” with the way Jesus was fully present to the people before him. Who is someone you could share this holistic vision of discipleship with this week?